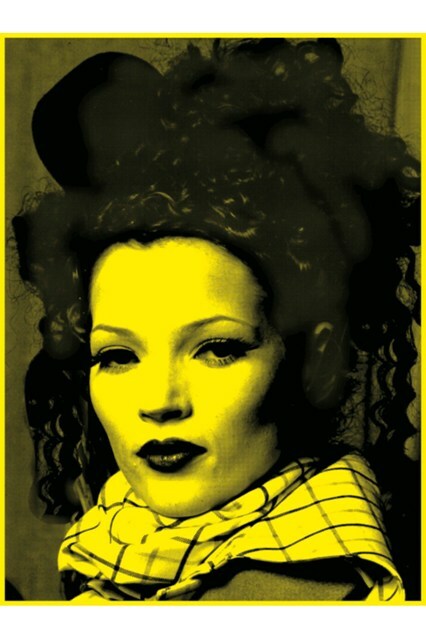 Journalist turned artist, Russell Marshall will be staging an exhibition in January 2014 to celebrate British supermodel Kate Moss’s upcoming 40th birthday. The exhibition titled ‘Kate Moss: 40 – A Retrospective’ will feature 10 iconic images of the supermodel and what he views are her best moments as one of the world’s famous faces. The word celebrity can be short-lived these days but as Russell describes to the Telegraph, “not so with Kate, she grows bigger, brighter and more iconic each year… she’s not hanging on to fame”. Kate Moss: 40 – A Retrospective will be open for viewing at the Imitate Modern Gallery from January 17 to February 15, 2014. Footwear brand Pretty Ballerinas has announced that it has collaborated with blogger Bip Ling to create a capsule shoe collection based on Bip’s personal style for SS14. Designed by Bip herself, the range consists of six shoe designs in vibrant colour combinations, modern textures and embellished details. With prices starting from £149, the collection is available now both in-store and online. Emerging London-based designer Francesca Capper has joined Blow Presents. A 2013 graduate of Central Saint Martins with a background in tailoring, Francesca has worked with Christian Dior in Paris, Alexander Wang in New York and Vivienne Westwood in London. Her work combines cut with conceptual shapes that move with the wearer. Watch this space! Not Christmassy and not even new but this 2011 classic from The Roots is playing on a loop so we thought we’d share. Enjoy! No sign of Rudolf the red-nosed reindeer at the new exhibition by Hackney-based artist Lauren Baker at the Hang-Up Gallery. You will find instead beautifully decorated skulls (animal and human) in a show inspired by the Mexican Day of the Dead Festival. It’s on until 24 January – That’s a show not to miss! This song from the 70’s has made it into hundreds of Christmas adverts worldwide. Check out the original band Wizzard performing it here in full Christmas costume! Mauro Grifoni Launches Women’s Wear in the U.K.
Mauro Grifoni has opened a shop in Harrods’ fourth-floor FashionLab, the new department dedicated to contemporary women’s fashion. Whether you are looking for something to make the lady in your life’s eyes sparkle, or maybe you’re sneaking a bit of Christmas Shopping for yourself 🙂 Make sure you’re ready for the party season! “In front of the camera, she makes you feel like she is the only girl in the world,” quoted Balmain’s creative director Oliver Rousteing. The new campaign was shot in New York by Inez van Lamsweerde and Vinoodh Matadin, and styled by Rihanna’s personal stylist Mel Ottenberg. The star has previously modeled for Armani Jeans and make-up giant Mac. It looks like Mariah Carey’s Christmas hit ‘All I want for Christmas’ could be well-placed for the best Christmas song of all time as sales of the 1994 track quickly approach One million copies sold in the UK, not one to miss out on a quick buck, Justin Bieber has teamed up with the pop Diva to duet on the old christmas classic. To celebrate the launch of Dr Dre’s new limited edition Beats headphones, here is a past song of his… Enjoy!